British Police Constable, armed with a pistol, dressed from the Inter-war period, 20th Century. 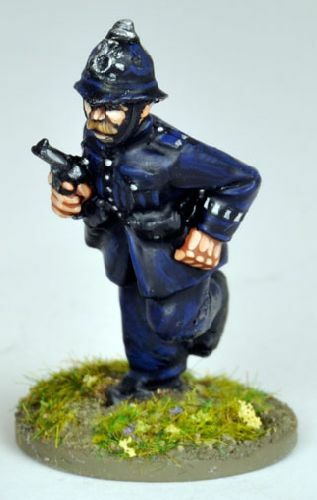 Made of metal, 28mm sized, supplied unpainted. Painted example by Dave Woodward of EVM Painting Service.